My first idea was an attempt to abuse his web server as a proxy, or log SPAM. I was able to make some sense of this: the first 32 characters are hexadecimal digits, and the rest is BASE64. 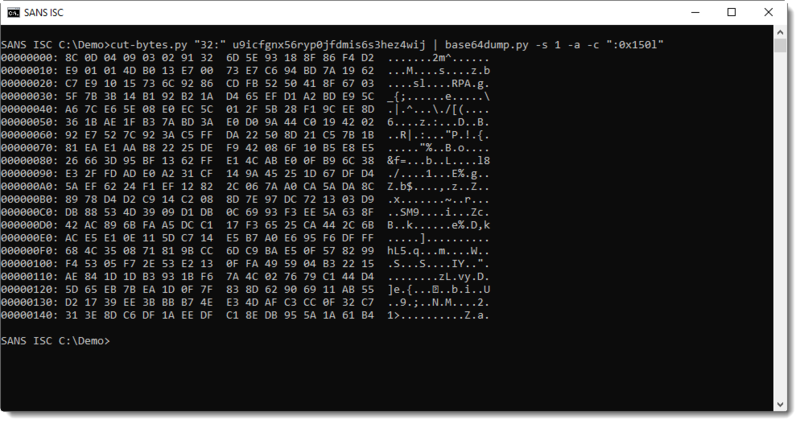 That BASE64 string decodes to binary data that starts with the magic header for "GPG symmetrically encrypted data (AES256 cipher)": "8C 0D 04 09 03 02". We don't know if the server replying with this data is under the control of the attacker, or not. It could be an "innocent bystander". Do you have any idea what this might be about, or what the data is? Please post a comment! We're not asking to interact with this server, there's no need. We want to know if you have ideas about the request type or returned data. Should you still decide to interact with this server, be careful. We don't recommend it, we don't know what this server is or does. Don't do anything that might be considered hostile and don't do anything illegal. Please post a comment, thanks! The response from the server changes. So far not pattern recognized. The payload is the interesting part. I suppose using encrypted data has two benefits here. One, if he gets back anything at all, he knows the proxy isn't dropping traffic it can't "read." Two, if he can decrypt it, he knows the traffic made a full round-trip without being tampered with. 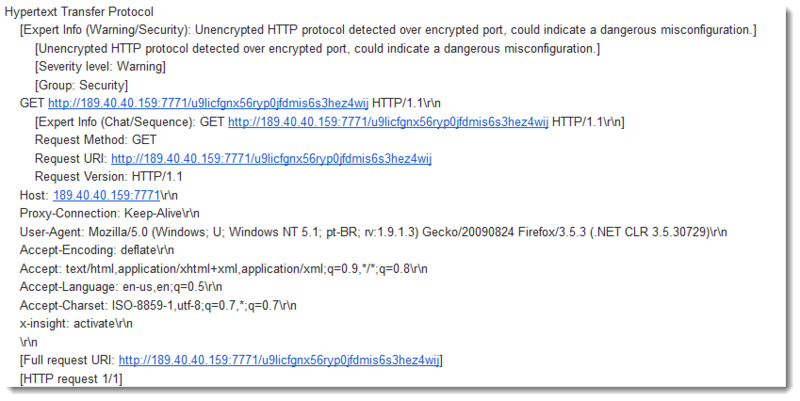 My guess: this is someone scanning for open proxies that don't have any DPI happening along the route. We had seen a few of those long string/GET URL requests last year (not seen one in a while) - I never was able to get a result when trying to fetch the URL myself. I was guessing it was a key string to show which server was vulnerable.